Hungry for a hotdog? 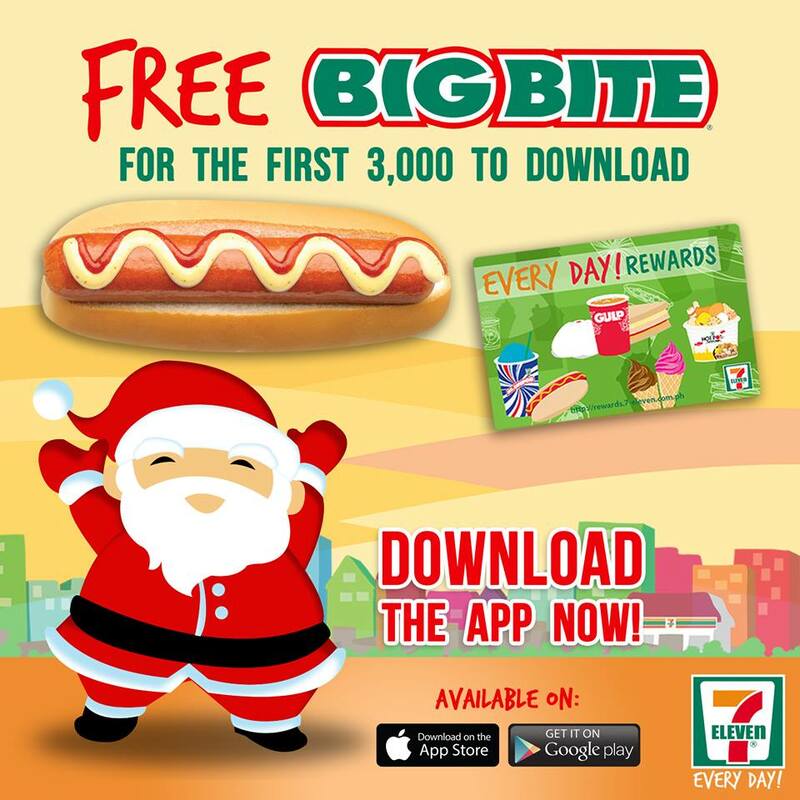 Get a FREE Big Bite Hotdog from 7-Eleven when you download the Every Day! Rewards App! Hurry! Only 3,000 Big Bites Unicorn Front Slide Bouncer to be given away so download now! 7-Eleven stores are CLiQQ WiFi zones. Use your Every Day! Rewards points to access the internet. 1 point gives you 20MB of internet access. Just turn on your WiFi at the store and connect to the CLiQQ WiFi hotspot. We are open 24/7 to answer you!